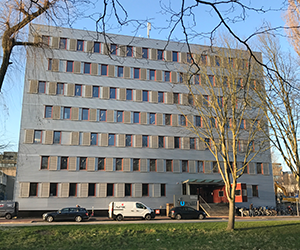 The three disciplines in the Faculty of Electrical Engineering, Mathematics and Computer Science (EEMCS) play a pivotal role in tech-driven innovation. Mathematics, one of the pillars of every technological science, provides the intellectual and professional tools that are the basic equipment of every engineer. You may say that mathematics is inside everything. Information and communication technology (ICT) is also everywhere around us in society. It is one of the new paradigms of recent history. 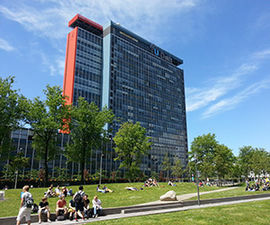 Electrical Engineering and Computer Science together alone account for 80% of the ICT research at TU Delft. With our combined power, knowledge and facilities, we work to manage and solve the social problems of today and those we anticipate in the future. The multi-annual plan of the Faculty of Electrical Engineering, Mathematics and Computer Sciences. Meet the dean of our faculty. Our six departments address fundamental questions from within our strong scientific disciplines. Here you can find some more details about our faculty. To attract outstanding scientific talent, to conduct groundbreaking research and to train new generations of engineers, EEMCS has an excellent research infrastructure.